I have been Powerlifting for 15 years and a member of the National Masters Powerlifting Team for 3 out of the last 6 years. I finished 6th at the World Championships in the Czech Republic in 2010 and placed in the top 10 in 2005 and again in 2009. On Thursday September 15, 2011 I successfully attempted to break the Guinness World Record for the most amount of weight lifted squatting in one hour which was 125,065 lbs set in 2009 by 32 year old “Six Pack” Ryan Lapadat…………I guess I should mention I am 21 years older than Ryan “Six Pack” Lapadat the former record holder…..I was 53 in January 2011. My record target weight was 126,000 lbs which was to be accomplished by completing 700 to 1000 squats at various weights in one hour or 11 or 17 squats per minute for 60 minutes. At 9:50 am EDT September 15, 2011 on Live With Regis and Kelly I officially broke the record exceed my target weight lifting 127,245 lbs over 904 squats in one hour on live national TV………..
My effort to break the current world record was to bring attention to the fact the adults can continue to remain healthy and get stronger longer than even before, and well into their 40’s, 50’s, 60’s, 70’s and 80’s. But to be honest, it was not always that way. After spending a weekend traveling, I once again realized how difficult it is to find time and maintain motivation to exercise. I further realized that while many people find it hard to exercise when traveling, the majority of us don’t exercise at all. While we all have busy lives and event filled calendars, I am convinced that starting and maintaining a regular exercise schedule is one step toward a long healthy life. Remember no one is born strong, fit, a fitness expert or a Guinness World Record holder. Everyone starts at the same base and develops from there. Some at an early age in organized sports, some through mid life hobbies or health related scares, some in their senior years and many because they just enjoy the activity and realize it helps reduce stress, increases energy and improves general health. The key point being, they started. I realize that taking the first step is intimidating, time consuming and downright hard, but that’s why they call it exercise. On the bright side, exercise provides for more energy, improved or good health, improved performance in physically based hobbies, can be a social boost, and over time can become out and out fun! Something that can eliminate the need for heart or cholesterol medication and gets others into a smaller clothing size can’t be all bad! If you are going to a health club – hire a professional for at least one or two lessons – avoid going with friends or relatives if they are regular at the gym – often they try to help but may be overly aggressive, may show you the wrong techniques, maybe be intimidating and will often be the first step in your not returning to the gym. If you are venturing into new activities outside of the gym, I highly recommend you find experts in those areas and ask them for help. Again, don’t go to friends or relatives for advice and help. Remember the best players don’t always make the best coaches, so find a professional and develop your plan, start small and build up. Although friends and family may mean well, they may lead to intimidation, injury and short term dropout. 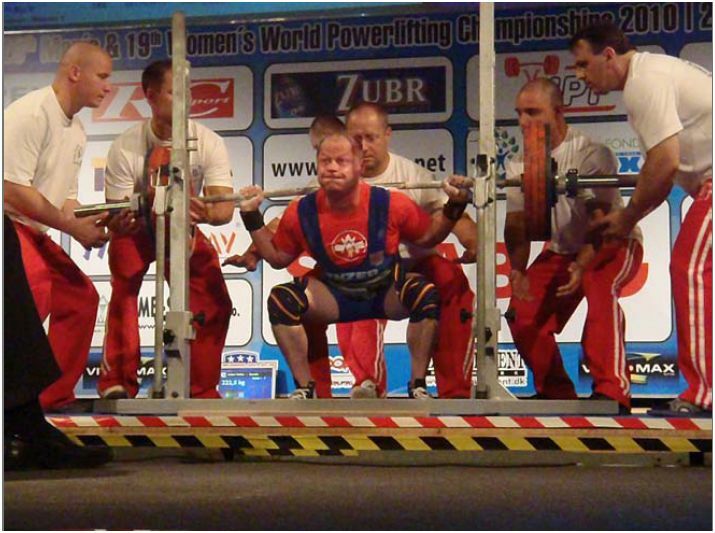 Even after 15 years of competing in amateur International Powerlifting events and at 3 World Championships I still required a team of experts and a plan when I decided to attempt to break the Guinness World Record for the most amount of weight squat lifted in one hour. I looked for experts in weight lifting endurance, breathing, mental performance, and general fitness. In developing and implementing my 5 month plan, I started small. In fact, I started in my office with no weight and started by simply setting aside 15 minutes, 30 minutes, 45 minutes or 60 minutes in my daily schedule to squat. Over the following months I stuck to the plan, adapted as necessary, consulted my team and eventually broke the World Record all at the age of 53! Walk, run, bike, swim, enrol in fitness classes, lift weights, do something and anything…..
Get up, get started and don’t give up! Congrats on your.accomplishments. I have falling off my exercise routine and need to get motivated. Thanks for the tips.